Miami, Naples and Sarasota - a sunny three-centre fly-drive holiday taking in both of Florida's sunny coasts. Enjoy spectacular, sandy beaches that go for miles - in fact, they are some of the best in the USA. Get your fill of fresh seafood and plenty of al fresco dining - there's no better place to eat, sip and people watch. There's also an abundance of water-sports, shopping and resort spas. After your flight across the pond, there's no better place to unwind, relax and slip into that holiday mood, than sunny South Beach, Miami. Your hotel for your two night stay here will be in the beautifully restored Art Deco District. 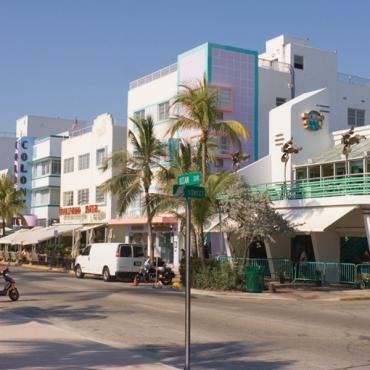 You won't need a car in Miami, parking is hideously expensive and it's an easy place to explore on foot. When you're not sunning yourself on the golden sands of Miami Beach, sipping a cocktail in one of the fashionable Ocean Drive cafes, or mooching around the stylish boutiques, we suggest you hop on a schooner for a sail around the harbour and Fisher Island or take an Art Deco tour. After 2 nights in Miami, it's time to collect your car from the downtown depot and head for Naples. Along the way, Everglades National Park. is an ideal stop. This 1.5 million acre park is one of North America's unsung wild places - a beautiful, rugged, subtropical wilderness. Stop at Everglades City, a great access point for Everglades National Park. Enjoy fresh fish in one of the riverfront fish markets. Hop aboard an airboat or swamp buggy to see the Everglades at their best. If you're lucky you may see an alligator or two. After a thrilling day in the wilderness its time to hit civilisation again and the sun-drenched beaches of Naples on the Gulf of Mexico. During your 4 nights here do as much or as little as you like. We recommend sunset walks along the 7 miles of pristine sandy beaches, a round of golf at one of the many championship courses, joining the locals on the Pier to try a spot of fishing or just enjoy a cool beer and lively conversation. There's the Naples Zoo at Caribbean Gardens or sea canoeing for the kids. If you're feeling energetic then head up to quaint Sanibel Island hire bikes and explore this tropical island packed with wildlife. You'll also love shelling on the 50 miles of beaches here, the beaches are awash with over 400 species of shells. Shopping in Naples is another treat with a spectacular selection of fashionable centers and plazas to choose from. From small boutiques and specialty shops along Third Street and Fifth Avenue South, Tin City, and Venetian Village to the large chain and department stores at Coastland Center Mall and the upscale Waterside Shops. It's time to leave Naples behind and head up the Florida Coast to sunny Sarasota. The drive is relatively short and will only take a couple of hours, it's a shame to rush it. Take it slowly, enjoy breakfast in Fort Myers Beach, lunch on Captiva Island and a mooch around Venice before arriving in Sarasota. Here glorious sandy beaches and clear tropical seas await you. Unlike other Florida beach resorts you'll find and interesting mix of culture and eclectic entertainment. Check out the John and Mable Ringling Museum of Art and the unique circus history of this area. You'll also want to devote a day and a few nights to exploring downtown Sarasota's historic neighbourhoods, starting with the quaint Towles Court art district, packed with brightly painted wooden homes and filled with galleries and restaurants. Main Street offers some of the best cuisine and shopping in Sarasota, along with live music and chic bars, all arranged into an area that begs to be strolled. Venture across Sarasota Bay and discover her lovely islands. 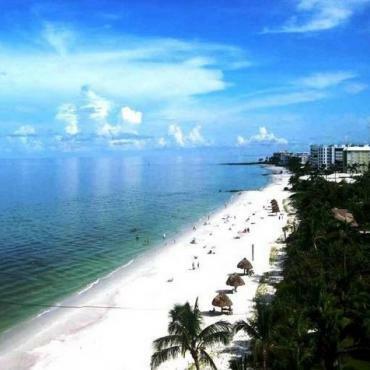 Lido Key, Siesta Key and the upscale area of Longboat Key are home to some of the loveliest beaches in all of Florida. 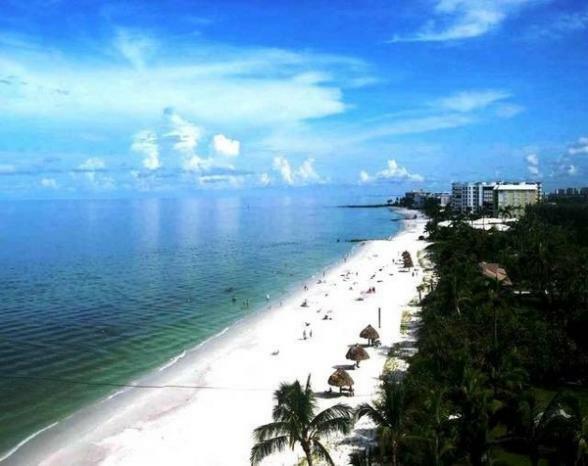 Siesta Key’s beaches were awarded the coveted best beach awards by Dr. Beach in 2010. After dusting off the sand, stroll the charming streets of St. Armand's Circle in Lido Key with its one-off shops, exquisite restaurants and quaint boutiques. On the north end of Siesta's public beach, lies Siesta Key Village. In the village's quaint blocks you'll find everything you need for island life. Restaurants, most with open-air dining, ranging from pancake and egg joints to award-winning fine dining spots. No matter how fancy, the dress code is always casual: sandals are not only allowed, they're expected. If you've chosen the direct flight from Tampa back home today, you'll have time to stop at historic Ybor City for a spot of lunch and some last minute shopping at International Plaza (right next door to the airport). Early risers might even like to spend the morning in Busch Gardens and experience a taste of the Serengeti along with a few thrilling coasters before heading home. However, if you would like even more time, perhaps you may want to extend your holiday to include a stop over in New York City or maybe spend a few days in Orlando and its theme parks. 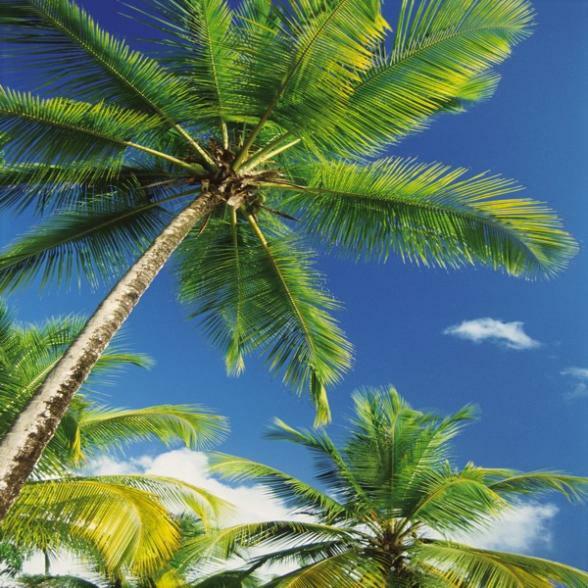 Call the USA travel specialists at Bon Voyage to discuss your ideal Art Deco and Awesome Beaches of Florida adventure.